MediaCom Edinburgh has won the £15m media account for Quality Solicitors after a pitch. They will co-ordinate a campaign for the legal firm that will hit television screens in March, with creative by Team Saatchi. Quality Solicitors is a national legal brand to which a number of legal firms have allied themselves as the market for legal services is liberalised. It has not previously used a media agency. 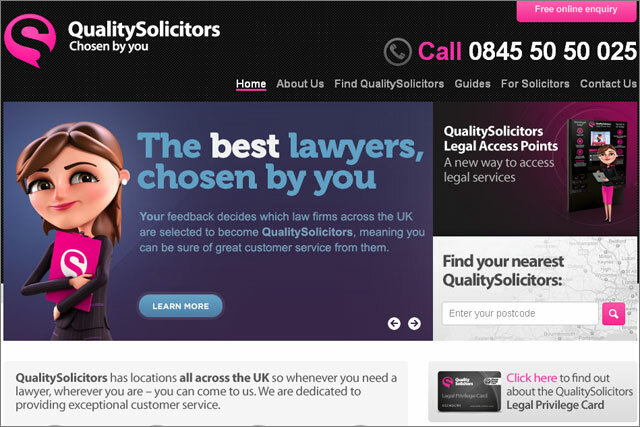 Craig Holt, chief executive, Quality Solicitors, said: "This advertising campaign will ensure we create widespread awareness of the Quality Solicitors brand among individuals and businesses, and communicate to them the reasons why they should use their local Quality Solicitors firm for their legal issues." David Shearer, managing director, MediaCom Edinburgh, said: "We have planned this campaign extremely carefully after researching the legal market in great depth. "We are confident of helping Quality Solicitors to become a successful business on the back of this campaign".